Now, this wouldn’t be a good story without a good twist. So, when I say I trusted my gut, I do not only mean that I paid attention to my instincts, but also that when I was hungry I followed the locals. 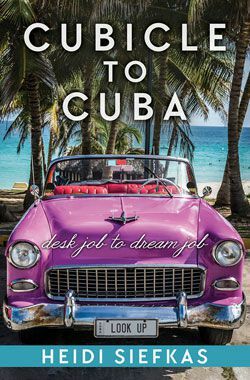 Over the past year, I have had many amazing adventures whether cruising to Cuba with both of my parents, walking the Camino de Santiago, hiking in Acadia, and releasing my most recent book, Cubicle to Cuba, in Spanish. 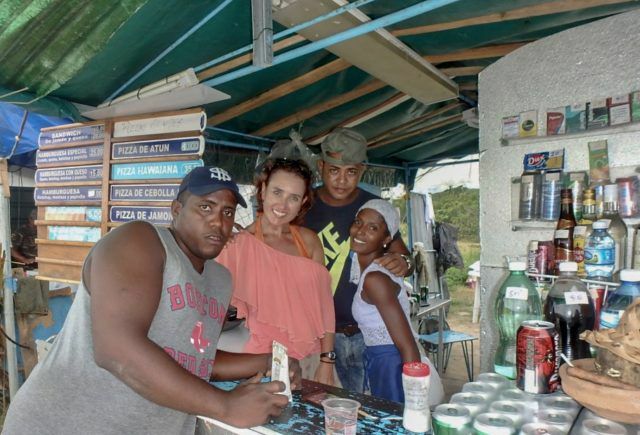 However, I wanted to share with you two NEW, FUN stories about trusting my gut in Ourense, Spain and a beach outside of Havana, Cuba. 1) If I were to do the Camino again I will choose to do another route than the French Way to do something different. Ourense is located on the Silver Way (Via de la Plata). 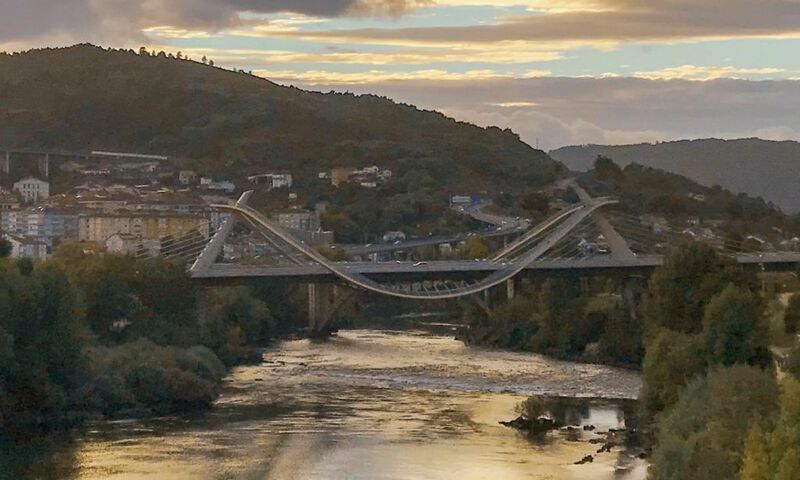 2) Some of my adventurous walkers from my first Camino trip had visited Ourense and raved about it: thermal baths, beautiful Roman and modern bridges, great tapas and wine. Wouldn’t your arm be twisted too? So my plan was R&R for two days. 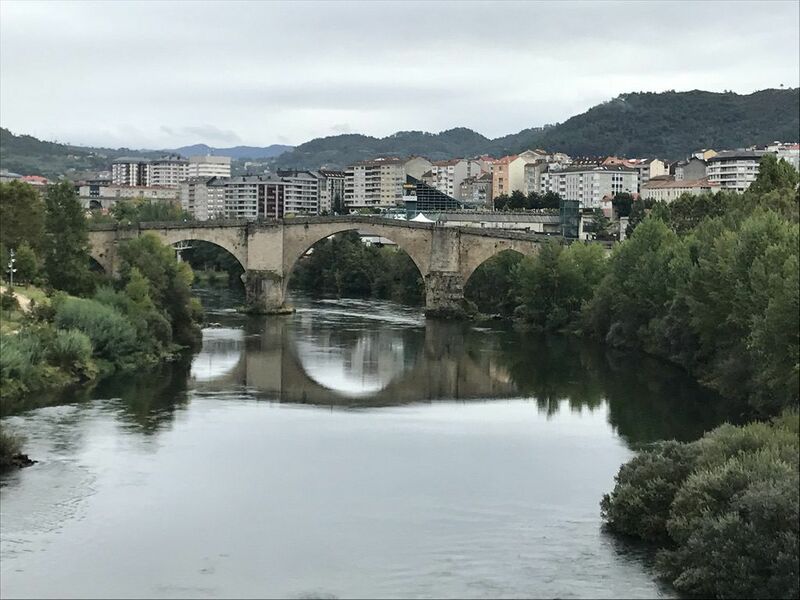 I have written my Ourense highlights in this post, but the best lunch was unexpected and involved trusting my gut. It was a chilly day and drizzling. Instead of continuing in the rain, I ducked into a tapas bar. I stood at the bar alone with my backpack. 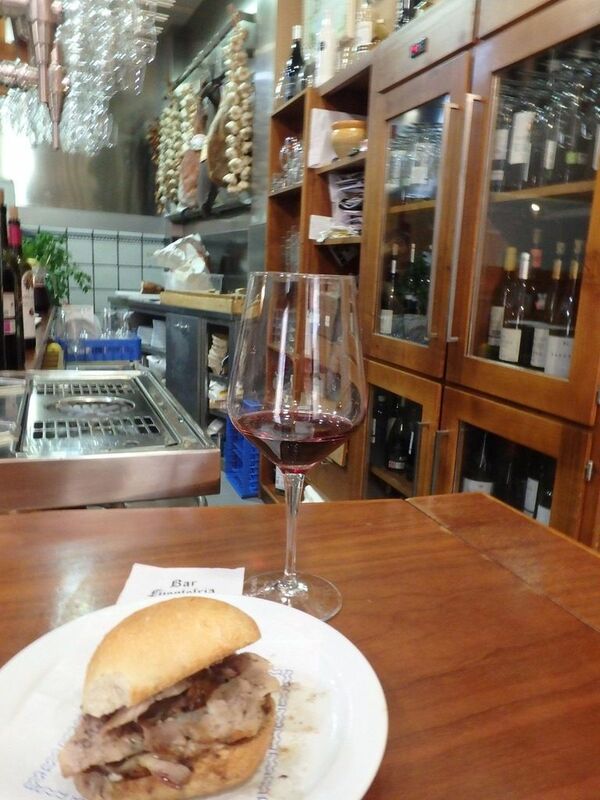 I ordered the roasted pork sandwich and a local glass of red called Mencia. When I tasted my sandwich, I thought I had died and gone to heaven. It was simple, yet made me almost dizzy with its savory, succulent cerdo between the fresh Galician bread. It had just enough juice to make everything stick together, but not messy. As I finished my sandwich and glass of red, another pour of red came from the bartender. An older gentleman who was sitting with a group of others enjoying tapas at a table invited me to my second glass. I walked over to thank the gentleman and he invited me to sit down. I didn’t have anywhere to go until I finished the second glass of wine so why not. I was introduced to everyone. One was the local butcher, the other a restaurateur and hotel owner, another a seafood distributor, and the other a vintner. Little did I know that I was just invited to sit at the VIP table of something like the Spanish Mafia. I even joked with the man who invited me to the wine if he was the Mayor of the city or maybe the Mafia. So yes, I was stuck in an episode of the Sopranos in Ourense. 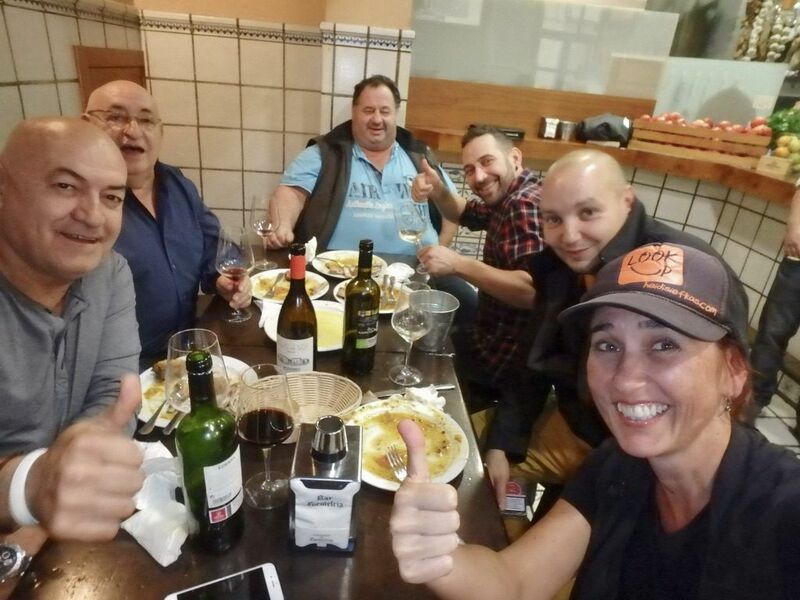 What started out as getting out of the rain and a snack, turned into a lunch with the owner and chef as well as my six new friends and mafiosos in Ourense with another bonus, a behind the scenes, free tour of Old Town with the locals. Let’s just say, it was dark by the time lunch and the tour was over. Just enough time to return to my Airbnb and pack my backpack for my return to Florida. 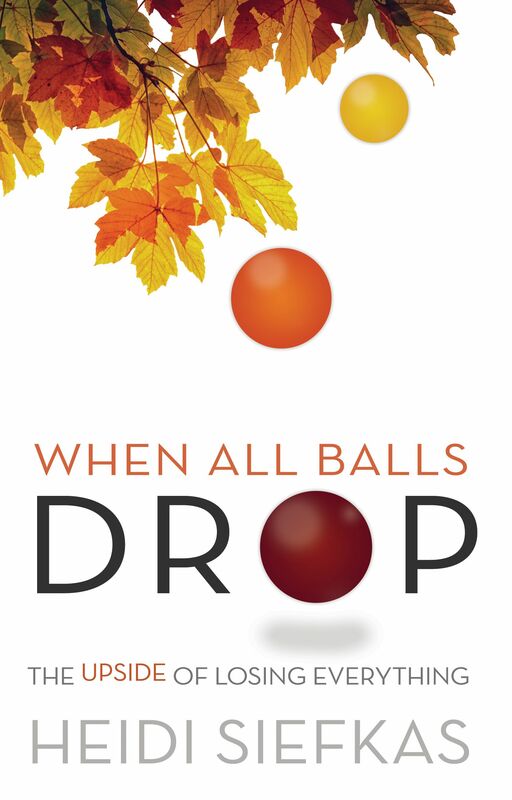 Like the last adventure, this story starts out escaping the rain and eating, but has new twists and turns. 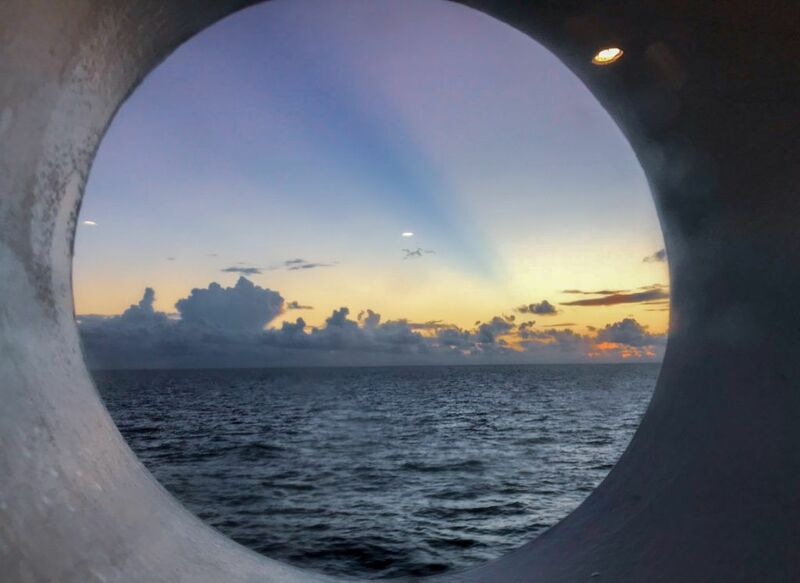 On this trip to Havana, I came via cruise. I had less than twenty-four hours in town, but I wanted to go somewhere where I could escape the crowds. With countless trips to Havana, I wanted to do something a little different. 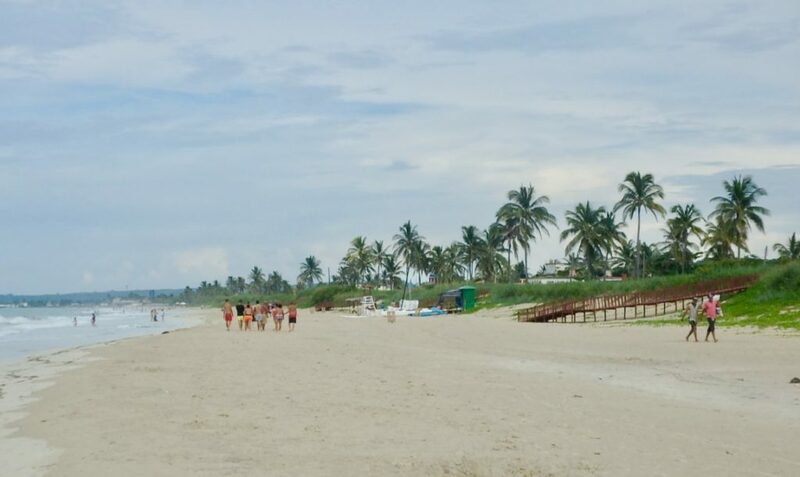 As it was in early September, the beaches outside of Havana, Las Playas del Este, weren’t crowded. If it had been summertime it would have been another story. I timed my beach adventure perfectly with the season, but the forecast for the twenty-hours was uncertain. I rolled the dice and caught a convertible classic car a few blocks away from the port to get a better deal. The private taxi driver, formerly an electrician and then butcher, took me to a lesser-known part of Santa Maria del Mar, Mi Cayito and Boca Ciega. Both of these beaches are frequented mostly by LGBT crowds, but I thought it would be the best place for me to relax, not deal with crowds, but still have small services like chair and umbrella rentals, snack shacks, and little cafés. I was hoping for a bathroom, but it wasn’t in the cards. I had the option to go in the bushes or the ocean. I chose the later, but those of you that know Cuban bathrooms no that I lucked out: no pee pee coin needed. As I sipped a chilled Crystal beer in my lounge chair, I paged through my travel magazines that had been piling up in my South Florida home. Somehow with the lapping of the soft waves and the cerevza, I dozed off for a quick siesta. However, a few drops of rain awoke me. It didn’t rain hard at first, but I looked at the sky, which looked like trouble. I knew it was time to find a shelter, perhaps a 241 stop with lunch and shelter. 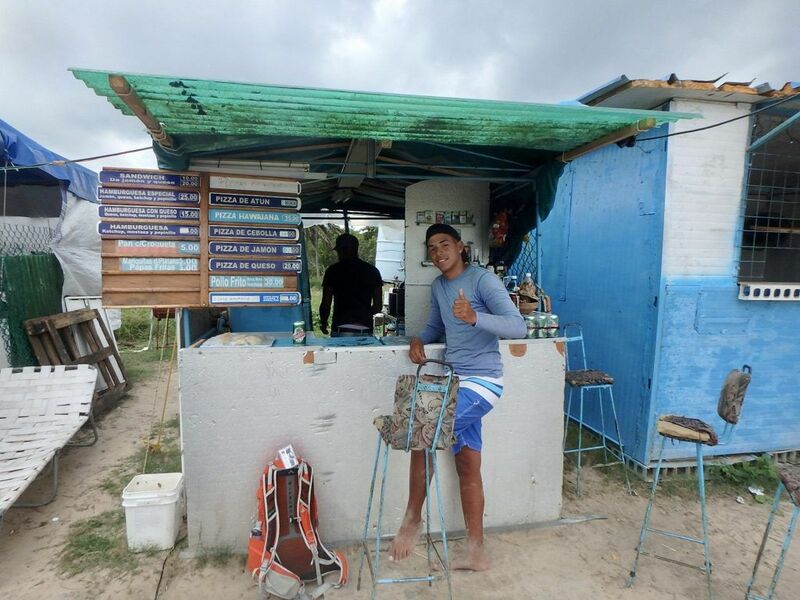 I walked quickly down the beach, across a small river, and over a grassy sand dune to a small street with three seasonal cafés made out of aluminum siding. All offered pizzas and ham and cheese sandwiches, but one had a large stereo speaker as well as one patron who had rented me a chair and umbrella. I decided to follow the local for the best pizza. For those of you that haven’t visited Cuba or haven’t eaten a Cuban pizza, unlike pizza in most places, Cuban pizza is not sliced. It is one size, personal size about 9 inches across with very little sauce, if any and with cheese and jamón as the ONLY toppings. However, just like New Yorkers, Cubans take the pizza with a piece of paper underneath and fold it to make it manageable to eat. Upon arrival, I ordered another Crystal and a pizza con jamón y queso. As I watched the woman chef prepare the pizza on a folding table and in a small toaster oven, it started to rain. She quickly invited me into the kitchen for shelter. I remained in the kitchen getting a lesson on how to make Cuban pizzas. When the rain lightened up, cars of locals and Cuban-Americans stopped for pizza, asking for four pizzas at a time. The one-woman operation couldn’t handle all the business. So, as the chef prepared the pizzas, I took the orders. What a sight for her regulars to see a tourist behind the counter helping with the lunch rush! As they say in Cuba, candela (wow)! 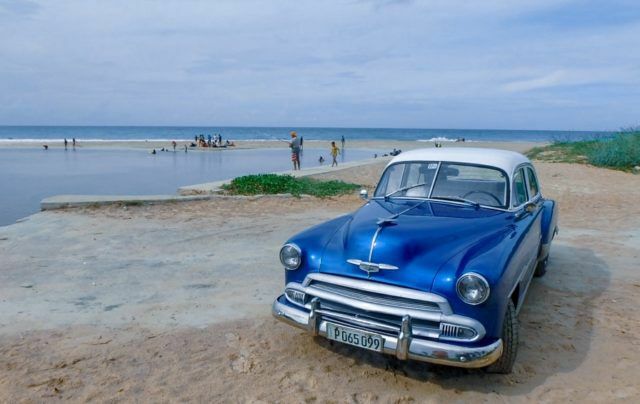 If you too would like to beat the crowds on your visit to Havana, I’ve written how to visit the best beaches in Havana in this post. Thank you for another awesome year of adventures stories, inspiration, and epic vistas like the below sunset! 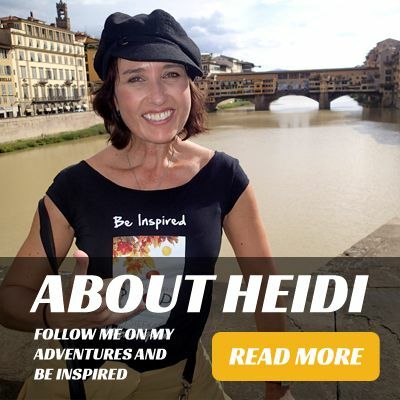 My goal is to entertain you with my stories in hopes of inspiring you to adventure more all the while trusting your gut.